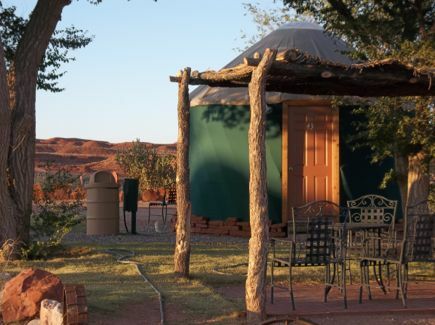 Yurts… Almost like camping, some even call it “Glamping” for its glamorous attraction. 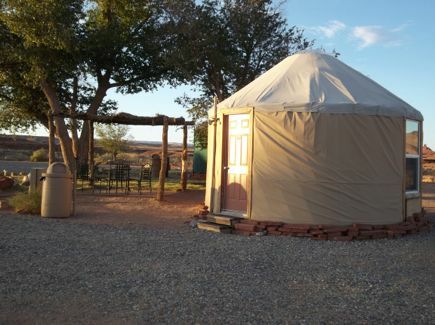 These yurts bring home a lot of the comforts you left behind. 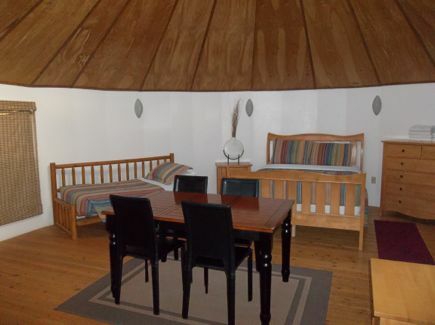 Each Yurt features a full bathroom with showers and toilets, electricity and air conditioning. 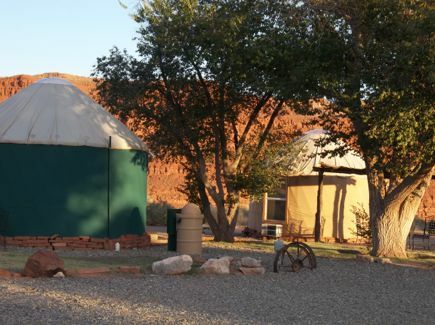 Our yurts are not located on the main property, they are about a mile away on the upper end of town. They have great views of the Navajo Rug ridgeline and anticline. We have three different yurts two smaller ones and one large one. 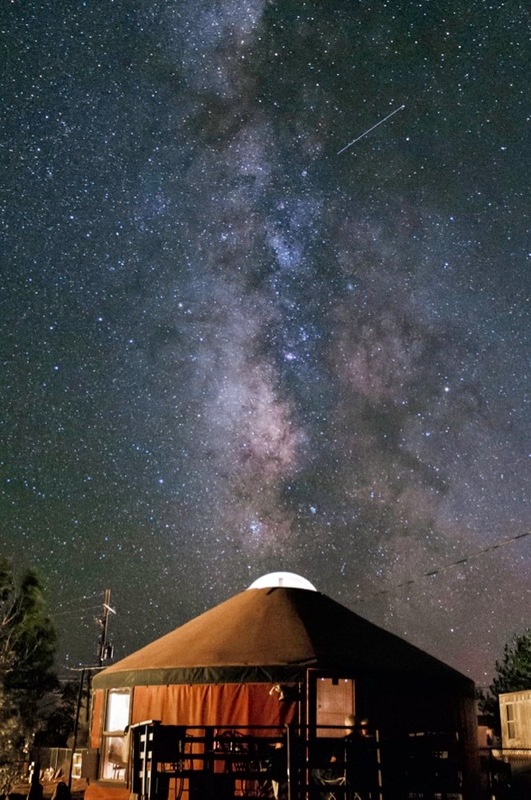 Each yurt sleeps 2-4 people.